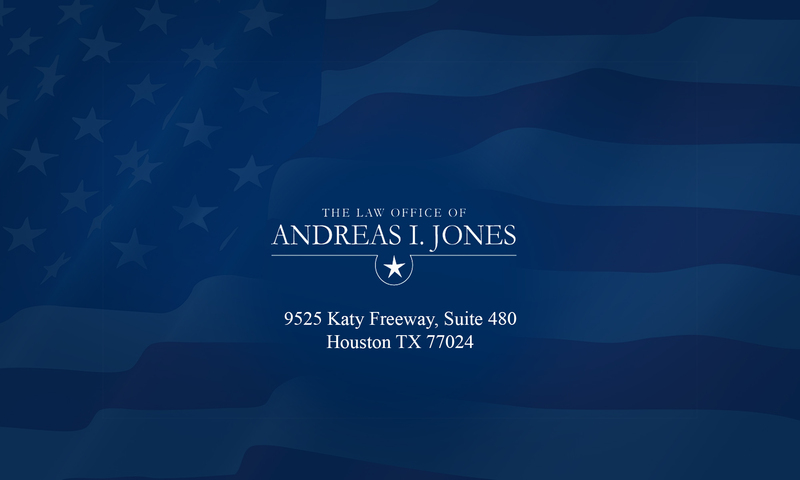 The Law Office of Andreas I. Jones has provided clients with effective and professional representation since 1999. Mr. Jones is licensed to practice in Texas State Courts by the Texas Supreme Court and admitted to practice before the United States District Courts for the Southern District of Texas. • Business Litigation – representing small and medium size enterprises faced with regulatory and litigation issues. • Personal Injury Litigation – representing those severely injured by the actions of others. • Consumer Litigation – representing Texas consumers victimized by unfair business practices. • Wrongful Foreclosures – representing homeowners who have lost their family’s most valuable asset, their home. The firm’s philosophy centers on the fundamental belief that clients should not be denied access to quality legal services due to price. For this reason, an emphasis is placed on managing client’s legal matters in a cost effective manner. Mr. Jones believes clients should be deeply involved in their cases, informed about the numerous issues faced in litigation, and updated routinely on the status of their case. For this reason, an emphasis is placed on being accessible to clients, promptly returning phone calls and emails, and promptly responding to the needs of clients.